Braces don’t have to interfere with your lifestyle. At Splash Orthodontics, we see lots of teenage patients coming in for orthodontic treatment – and not all of them want to be there. That’s ok – we understand it’s nothing to do with us. 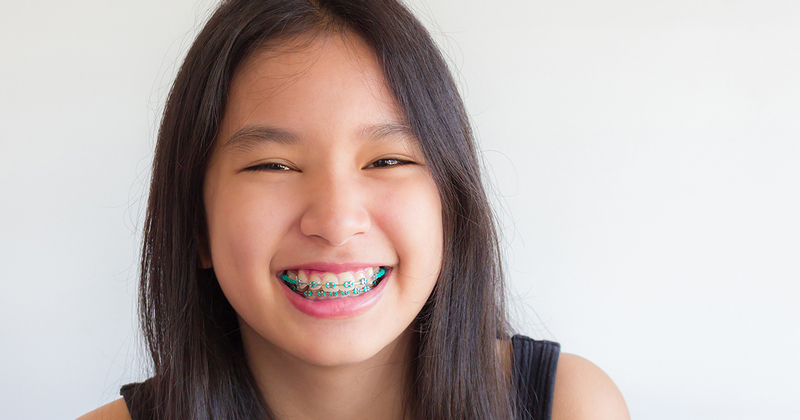 Rather, having to wear braces when you’re a teenager isn’t really all that cool… until now! One of the most popular treatment methods we offer our teenage patients is Invisalign Teen. It’s perfectly suited for this age group because the aligners are virtually invisible. This mean it’s not immediately obvious that you’re having treatment. The aligners are made of clear plastic material and look a little bit like thin sports mouthguards. All you need to do is slide them on over your upper and lower teeth and carry on your day as normal. No-one will know you’re having treatment – unless you tell them of course. What’s more, you can take the aligners out for playing sports or musical instruments, and for eating and brushing your teeth. You just have to make sure you wear them for 22 hours a day for maximum effect. If you don’t, this could prolong your treatment. As experienced Invisalign providers, we can treat most cases with this method of treatment, but there are some instances where Invisalign aligners aren’t suitable. If this is the case, we can still straighten your teeth and improve your smile using other types of fixed braces made out of metal or ceramic. But don’t worry. The ‘train track’ look is a thing of the past as braces these days are much smaller and more comfortable to wear. Book a free consultation with us to see if Invisalign Teen is right for you.